Kyle Dennis biotech trading strategies – Learn his favorite chart pattern for swing trading biotech stocks successfully! I have found some of the best biotech stocks to buy by following Kyle’s techniques. I am really enjoying learning how Kyle Dennis trades biotech stocks and I wanted to share with you some of his core techniques that he has used to turn $15k into $3 Million over the last few years. Kyle Dennis Webinar – Free biotech stock trading training! Kyle’s main claim to fame is that he made over $3 Million trading biotech stocks over the last few years and I have followed him for a year or two now. I have been a member of the majority of his educational services and I love his trading style and alerts. 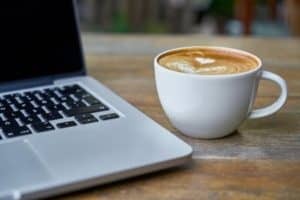 His alerts services can be a little expensive so he offers plenty of free training sessions (like this free training webinar and eBook course). The free information in the webinar can help you find the best biotech stocks to buy and trade successfully. Kyle Dennis has one pattern that he LOVES. This chart pattern does not come up very often but when it does he usually jumps on it. This is especially true if the stock has other attractive properties (like a catalyst event). The trading price pattern is called ‘A cup and handle’. It is a well-known trading pattern that can offer quite consistent profits. Let me illustrate the chart pattern with a recent example that I traded alongside Kyle. 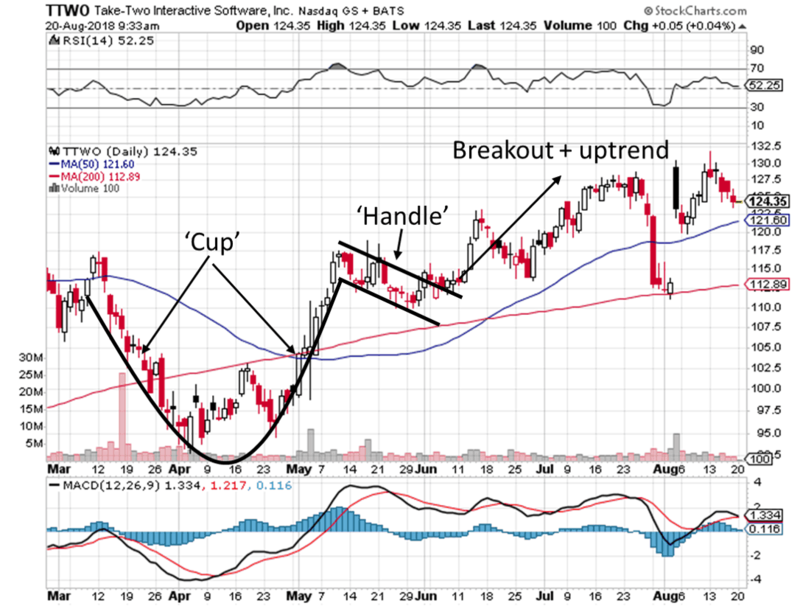 The cup part of the chart pattern in TTWO formed between March and May. The Cup part of the pattern is in the shape of a ‘U’ over several weeks or months. The second part of the pattern is called the Handle. The Handle part of the pattern resembles the handle of a cup (hence the name) and has a downwards drifting price action. We entered this trade in late May once the handle started to form and look like it might be consolidating. As you can see from the price action, the handle was broken to the upside and has continued upwards in price for weeks since. The price action is very volatile, but we are still in this trade and hope to see even bigger profits before the end of the year. TTWO is a great example of the type of trade the Kyle alerts in his lowest cost service – The Sniper Report. I have been a member of this service since earlier this year and it has really helped me find some great stocks to trade. The Sniper Report Kyle’s very best biopharma stocks that he thinks have the biggest gain potential over the longer-term. You can learn more about Kyle’s biotech trading services (including the Sniper Report) here. Finding biotech stocks to buy that offer the best risk/reward is the hardest part of this type of trading. It does take time to learn to find and trade this chart pattern, but the effort is more than worth it. TTWO is a longer-term swing trade for me but if I was trading it based on the cup and handle pattern, we would be in the profit taking zone around $130 per share. The profit taking zone is calculated based on the depth of the cup added to the handle price. Biotech trading is based on catalyst driven events that can be very volatile and unpredictable. These binary events can be anything from partnerships to FDA decisions. These binary events make trading options in the biotech sector very dangerous but potentially very profitable. 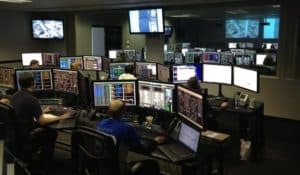 Because of the extreme risk in trading biotech options it is best to have expert guidance if you want to make some money with this type of trading. It pays to be very careful and only pick the best biopharma stocks to trade. Kyle Dennis has a program dedicated to teaching biotech options trading. His strategy is called I.G.N.I.T.E Option Rocket and it seems to be a pretty interesting way to trade options. You can check out his IGNITE Option Rocket presentation about it here and see if his style resonates with you. Option Rocket is the newest program that Kyle started to show people how he often makes 100% profits on an option trade. He tries to leverage the options market to make massive gains and grow his trading account very quickly. He has stated that he wants to use options to get to $10 Million in trading profits. Kyle Dennis developed the I.G.N.I.T.E trading system which contains these elements that help him to choose what options are the most likely to make him huge profits! One thing that I really like is that Kyle gives a score for each potential options trade from 0-100 based on these 6 criteria. He will often execute a trade if it scores 90+ on his IGNITE trading scale. 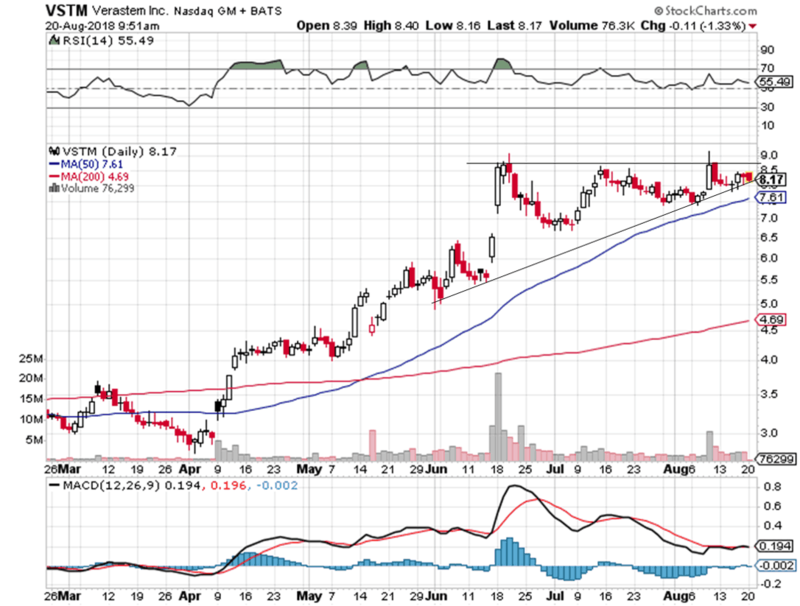 This is a great analytical approach to biotech options trading that I love. If you want to know the exact way that Kyle rates each of these 6 scoring indicators, then check out his free IGNITE Option Rocket webinar. 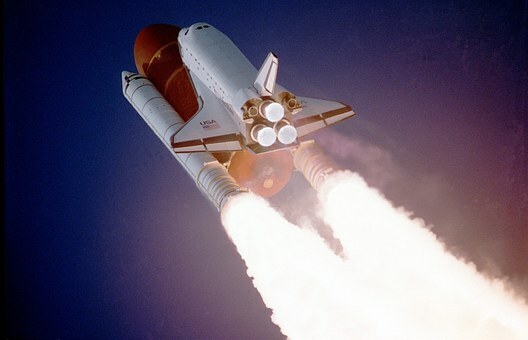 Biotech Options Trading – IGNITE Option Rocket! Kyle is an expert at biotech catalyst trading. I wanted to share a few biotech catalyst trades and explain a little bit about his awesome trading service called FDA Insider Alerts that I love. Here is an example of a trade that we just bought from the FDA Insider Alerts watch list. The ticker is $VSTM and it was on the FDA Insider Alerts watch list because of the great chart forming up nicely on the daily time frame (See below). However, it is also a biotech catalyst trade! There is an FDA approval date approaching on October 15th. If this stock breaks out to the upside, we could see $10+ by October. Kyle is great at finding biotech catalyst stocks that run up into the catalyst event. Finding stock catalysts is the key to making money with biotech stocks. You can use biopharmcatalyst.com to help you in the process of finding stock catalysts. They have all the approaching biotech stock catalyst dates that are coming up soon. Finding stock catalysts that are a few weeks in the future are perfect for timing the purchase of a stock. You don’t want to be buying a stock with a catalyst that is months away because it will not be likely to move in price until closer to the catalyst date. I love to buy stocks that have an upcoming catalyst but also show strong a technical chart. I think the more bullish things about a stock the better! I have a strong feeling that VSTM will run up in price over the next few weeks and be a HUGE winner. I recently wrote about another catalyst driven stock that I copied Kyle Dennis on (check it out here). It truly is a great strategy that pays off over and over again! Kyle never holds a stock through a catalyst event because it is just too risky. I agree 100%. This is the trick with swing trading biotech stocks using a catalyst strategy. If you buy early enough, later buyers will drive the price up as the catalyst event approaches. 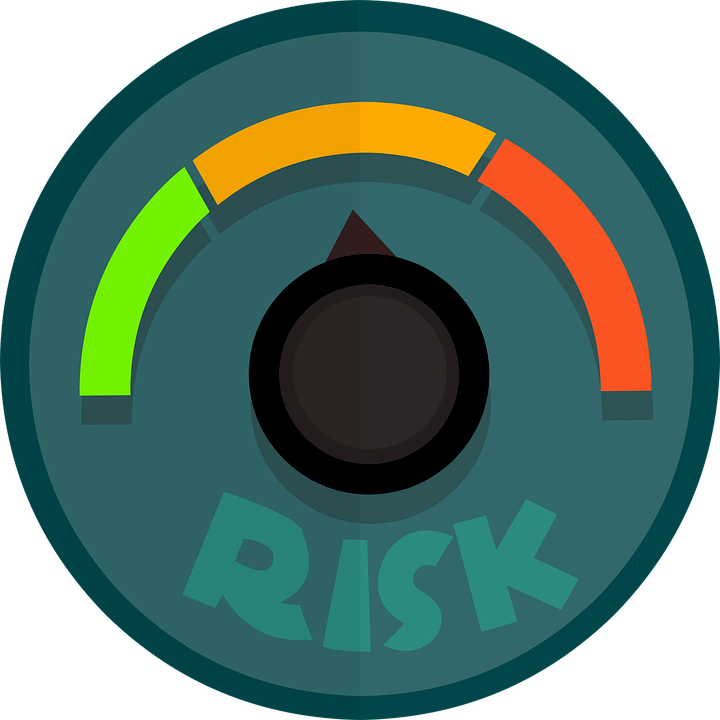 This approach reduces the risk of trading biopharma stocks and allows you to gain 10% – 30% profits per trade without being exposed to large risks. Trust me – I learned not to hold through events the hard way when I lost 50% on a stock when they reported less than stellar earnings. Swing trading biopharma stocks has been very lucrative for millionaire biotech trader, Kyle Dennis. Kyle has helped me make money trading these high-risk stocks by showing me how to maximize returns and minimize the risk. Swing trading biotech stocks as they run up towards catalyst events is a great way to make some huge gains. I highly recommend only trading the very best biopharma stocks to maximize your chances of success. DON’T MISS KYLE’S FREE WEBINAR WHERE HE GIVES AWAY HIS TRADING STRATEGY FOR TURNING $15K INTO $4MM! Do you trade biopharma stocks? Do you think that swing trading biotech stocks is worth the risk? Finding stock catalysts is quite straightforward and can help you make huge profits trading the best biopharma stocks.